We hear all the time how good fish oil, and the omega-3’s it contains, is for our health. While there is no denying that fish oil is of nutritional benefit, there is something that may be even better. Krill are tiny crustaceans that resemble shrimp. They are found mainly in the chilly waters of the Antarctic and Arctic oceans and are a main food source of whales and sea lions. Although these creatures seem too small to bother with, the whales and sea lions know what they are doing. Krill is loaded with health-promoting qualities. Essential fatty acids (EFA’s) are long-chain polyunsaturated fatty acids that are necessary for a number of bodily functions. EFA’s are needed for such things as healthy cell membrane function, hormone function, thyroid and adrenal regulation, breakdown and transport of cholesterol, regulation of blood clotting, regulation of blood pressure, immune function and the growth of healthy skin and hair. Because we cannot make these ourselves, we must get them from outside sources. There are two types of EFA’s, omega-3’s and omega-6’s. The optimal balance between omega-3 and omega-6 should be somewhere between 2:1 and 2:4. However, In America, the average ratio is more like 10:1 through 30:1. This translates into a severe deficiency in omega-3 which increases the risk of asthma, depression, obesity, diabetes, ADHD, Alzheimer’s disease and stroke. Both fish and krill are valuable sources of omega-3. However, recent research has revealed that krill oil may be superior to fish oil. Here are 4 reasons why. According to recent studies, krill oil may be of significantly higher quality than fish oil. The waters where krill dwell are generally less polluted than places where fish are harvested. Fish harvested from polluted waters have been found to contain dangerous dioxins, PCB’s and heavy metals including mercury. Because krill are on the bottom end of the food chain, they are less apt to accumulate contaminants. Many people abhor fish oil due to its strong aftertaste. There is nothing like fish burps all day long! Good news: krill oil has no fishy aftertaste. The fact that krill is more palatable is reason enough for many to switch. The powerful antioxidant astaxanthin has received a great deal of attention lately. Astaxanthin protects the body from free radical damage caused by environmental and food toxins. Krill oil is loaded with this valuable antioxidant. Because it contains astaxanthin, krill oil is less perishable and more potent than fish oil. Because of its molecular structure, the omega-3’s in krill oil are more readily available than those found in fish oil. Because of this, it is not necessary to take as much krill oil to achieve the same benefit as found in fish oil. In fact, only one gram of krill oil is equal to the benefit of 5 grams of fish oil. In addition, phospholipid choline is beneficial to the developing brain, improves memory and cognitive functioning. Hey Buddy!, I found this information for you: "Top 4 Reasons Why Krill Oil is Better Than Fish Oil". 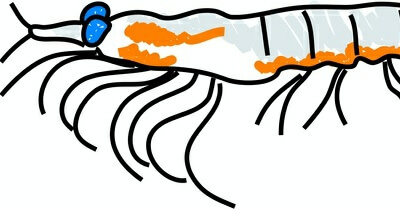 Here is the website link: https://www.thealternativedaily.com/top-4-reasons-why-krill-oil-is-better-than-fish-oil/. Thank you.